CLICK HERE FOR A SLIDE SHOW OF OUR NEWEST OFFERS! 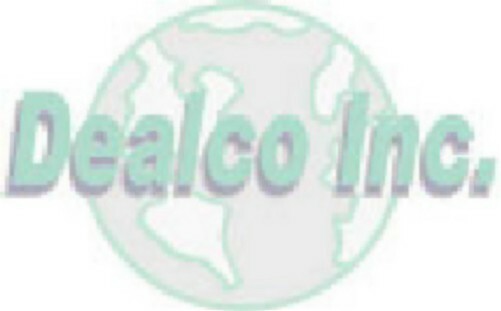 Dealco, Inc. is an closeout company, with offices in Eatontown NJ, specializing in difficult inventories since 1992. We are sensitive to the market place and work closely with you to place your goods in non-competitive areas in North America and worldwide. Dealco purchases irregulars, returns, production over runs, short dated goods, insurance salvage, freight claims, package changes, and otherwise obsolete inventories. We buy toys, electronics, health and beauty care, housewares, furniture, hardware, automotive, domestics, soft goods, food and candy. Dealco pays cash for these items. All situations are evaluated on a case by case basis. Dealco's purchase decisions are based on current market values. An appraisal and offer backed with current market figures is always submitted to our clients. We are NOT $0.10 on the dollar guys! Dealco enjoys a solid reputation with numerous national and regional accounts and will gladly furnish references upon request. On your invitation, Dealco will come to your site as quickly as possible and work with your firm to realize as optimum a cash recovery for your inventory as possible. No inventory is too big or too small. Smaller lots can go directly to one of our affiliated retail locations. No item is too specialized. With warehouse space nationwide, location is not a concern, either. We export. We import. We keep your goods outside of your existing market and adhere 100% to your stated restrictions. Please take a few moments to navigate through this website. Meet our principles. Read about some of our more successful projects and the different environments that we excel in - equate them to your particular situation. Examine our on-line catalog to get an idea of what types of inventory we have to offer. The catalog is in no way complete - contact us if you are looking for something you don't see or if you need assistance with a type of inventory not listed.